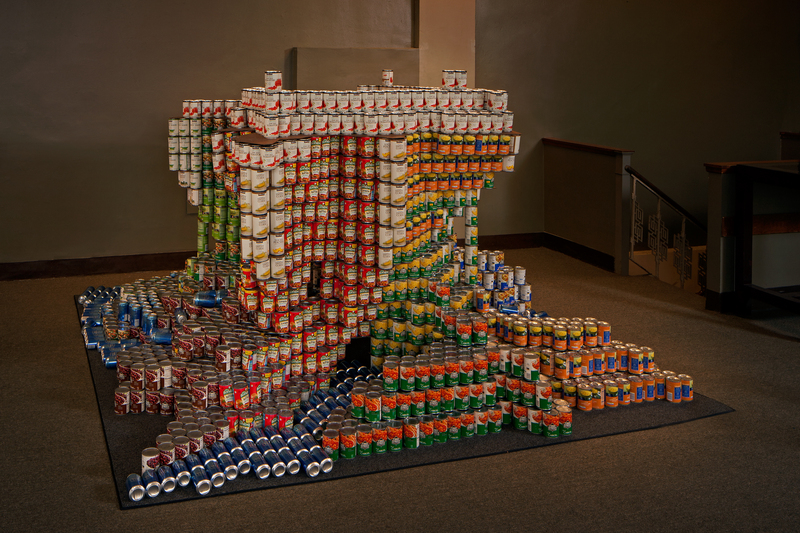 Kamus + Keller recently united to design and build our 2015 Canstruction LA entry “We CAN Fill the Holes of Decay.” The team created an artistic symbolic piece targeting the social issue of urban decay as the result of both poverty and hunger. 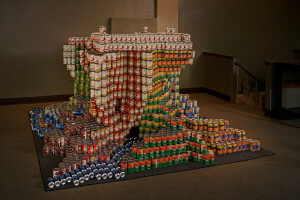 Constructed with over 4,000 cans of food, the sculpture displays gaping holes (representing poverty and hunger) at the base, while the upper levels were wider and filled with organic foods (representing the disparity in food quality between classes in the urban environment). Taking just over 8 hours to construct, the Kamus + Keller team incorporated a variety of foods to create an interesting and impactful statement. All canned food used in the Canstruction LA displays are donated to the LA Food Bank to combat hunger in the greater Los Angeles area. A SPECIAL THANK YOU to our sponsors, Kamus + Keller core team and Kamus + Keller volunteers who generously donated time and resources toward this effort!